This is the most commonly asked question we receive at Arbrux: What is the cost of installing a fountain? We generally answer this question with another question: How big of a pond or lake fountain are you looking for? 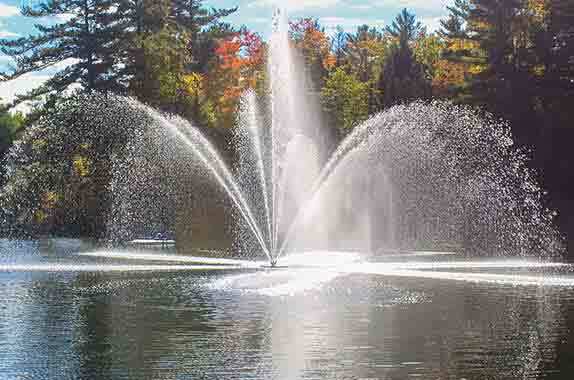 Every floating lake fountain is unique the pricing is based on: power available at shoreline, the length of cable required, and the height of spray pattern desired. We also offer accessories such as light kits and intake screens. We quote every project individually and we generally have something that fits within each customers budget. To receive a quote fill out a quote request or call our toll free number 1-888-211-3548. We will be happy to assist you with pricing.